Tue, January 16, 2018 7:30 P.M.
A “funny, knowing, clear-eyed, candid and altogether exhilarating” (The New Yorker) chronicler of the confluence of media, technology, and business for the last quarter century, Michael Wolff is the author of Burn Rate, Television Is the New Television, and The Man Who Owns the News, a deep dive into the secretive life of Rupert Murdoch. A longtime contributor to Vanity Fair, the Guardian, Adweek, The Hollywood Reporter, and a host of other periodicals, Wolff was a weekly columnist at New York magazine for six years. 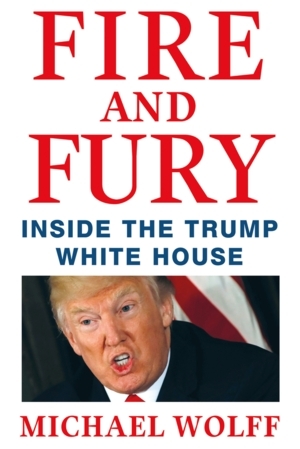 Fire and Fury is based on more than 200 interviews with Trump and senior members of his team and tells the inside story of the daily chaos, backstabbing, and discord of the volatile Trump administration. Read an excerpt in New York Magazine.